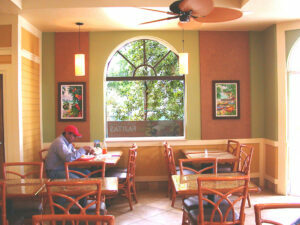 Since Jan 2007, 15 different Pollo Tropical Restaurants have been remodeled as well as new construction with Eileen Seitz Giclee prints on canvas and paper. The restaurants are throughout Florida and New Jersey. Next Next post: Pollo Tropical, Weston – FL.